Mandeville, Louisiana, across Lake Pontchartrain from New Orleans, might not strike you as a likely spot for a poetry kerfuffle, but good intentions in the name of poetry have indeed backfired. We’ve written before, on several occasions, about the appeal of poetry boxes — weatherproof boxes stocked with favorite poems for passersby to take and enjoy. It was exactly that appeal that inspired Robin Hurston, who proposed a series of poetry boxes for the Lake’s north shore. 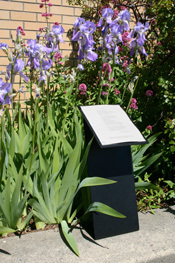 Hurston, who relocated to Coquille, Oregon, after Hurricane Katrina and installed 13 poetry boxes there, thought the idea would be a good fit for Mandeville when she returned to Louisiana. Initially received as “overwhelmingly positive,” the boxes quickly inspired rancor, not for their content but for their design and placement. …And be careful where you put your poetry!